Services mission. We thank our partners for all the services they provide to our community and in helping us do the most good for our community neighbors in need. If you have not found the help you need through our programs at AMRI Counseling Services, please contact local community resources listed here for assistance. *AMRI Counseling Services,LLC is a proud preferred provider of trauma counseling and therapy services with Children's Hospital of Wisconsin through Project Ujima. Project Ujima works to stop the cycle of violent crimes through crisis intervention and case management, social and emotional support, youth development and mentoring, and mental health and medical services. We address the needs of youth victims of violence. IMPACT 2-1-1 is a central access point for people in need. During times of personal crisis or community disaster, the free, confidential helpline and online resource directory make it easy for residents to get connected to information and assistance. In Milwaukee, Kenosha, Racine, Ozaukee and Washington counties simply dial 2-1-1.
supportive services, affordable housing, workforce development, and racial justice programming. Specific programs offered are Job Search Assistance, GED Courses, and W-2 Programming. cultural and lifestyle influence that affect patient’s care. We teach patients the importance of their role in contributing to their own well-being and living healthy in our community. Programs and pantries, Adult Rehabilitation Center, Shelter needs including-Rent Assistance, Homeless Shelter, and Transitional Housing. Catholic Charities of SE Wisconsin vision is to improve the lives of those we serve, to empower the most vulnerable, and to help reduce poverty through quality, compassionate, and effective human services. 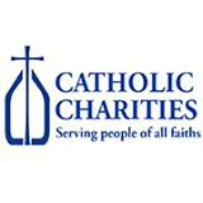 Catholic Charities of SE Wisconsin offers help in Legal Services to Immigrants, Refugee Resettlement Services, Pregnancy support, Adoption, Supportive Parenting, Adult day Services, In Home Support Services. The mission of the Milwaukee County Department of Health & Human Services is to secure human services for individuals who need assistance living a healthy, independent life in the community. Milwaukee Health and Human Services provides a vast array of community services including Housing Assistance, Drug discount Program, Delinquency & Court Services, Disabilities Services Division, Emergency Medical Services, nursing Home Services, Energy Assistance, Interim Disability Assistance Program, Crisis Services, In Patient mental Health Services, Economic Support-FoodShare, BadgerCare Plus, Medicaid (Title 19), Caretaker Supplement, Wisconsin Shares (child care). individual's health and functionality in society. Partnership with District 7 Police Department. Helping to improve the families in our very own district.